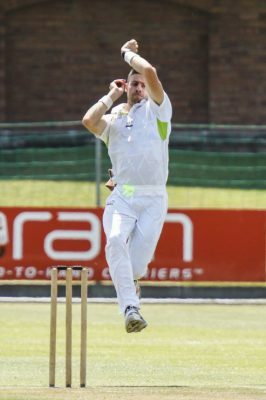 “When I first went to varsity I just wanted to play cricket,” said Nortje, who was schooled at Handhaaf Primary and Die Hoërskool Brandwag in Uitenhage. “When I got to varsity Francois Holder was the trainer who really pushed us and it was something all of us needed. “He was very understanding as well and knew how to handle us – when we had to take breaks and when we had to push on. “As youngsters, you just want to push on every day and he helped with finding the right balance between the cricket and feet-up time. “Baakier Abrahams was our coach at the time and he also played a big role in pushing all of the players to go to the next level.